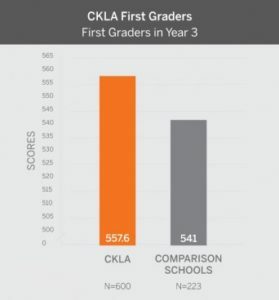 Our grades Kindergarten through Fourth follow the top-rated Engage NY curricula aligned to the Common Core State Standards (CCSS). These standards help prepare our students to become lifelong learners and thinkers, as well as active participants in civil, community and professional endeavors. 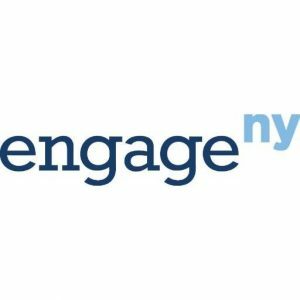 In fact, a recent Rand Corporation report states more than 25 percent of all English/language arts teachers in the United States are using the Engage NY curricula in some way and states that have adopted the CCSS are 65 percent more likely to use Engage NY. Engage NY utilizes the Core Knowledge Language Arts Listening and Learning Strands for grades K-2, designed to help students build the background knowledge and vocabulary critical to listening and reading comprehension. The decoding skills needed for future independent reading are taught separately in the Core Knowledge Language Arts Skills Strand. The two strands complement each other, building the requisite decoding and comprehension skills that comprise fluent, mature reading. Building students’ knowledge and vocabulary while they are still learning to read is crucial for long-term success. At the heart of this strand are authentic fiction and nonfiction texts that teachers read aloud. These texts are grouped in knowledge domains that create interactive opportunities to question, discuss and share ideas centered on text. This strand ensures students are well prepared when they transition from learning to read to reading to learn. These lessons support reading and foundational skills through daily instruction in phonemic awareness, spelling patterns, decoding with engaging decodable texts, writing mechanics and writing structure and processes. The Skills Strand fully accords with the findings of the National Reading Panel and the Reading Foundational Skills section of the Common Core State Standards. Grades 3-4 move on to individually more difficult and complex text along with short stories that give all students a pathway for rigorous thinking with complex, grade level texts and resources. Our grades K-5 use the highly rated GO MATH! text series. GO Math! has been rigorously tested in the classroom, and the results, complemented by the Harvard University Center for Educational Policy study, show significant achievement gains. Multiple independent studies show a significant increase in Math scores across all grade levels for students using the GO MATH! program. Additionally, GO MATH! is fully aligned with the new, more difficult Common Core State Standards (CCSS) Math Standards to ensure we give them all the tools necessary to succeed at the university of their choosing. The AIS Science program uses the digital and print Science Fusion Programs for Kindergarten through Ninth (K-9) grade. 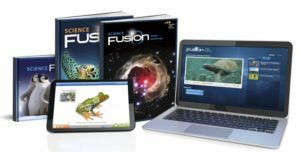 Science Fusion is a state-of-the-art science program designed for building inquiry and STEM (Science, Technology, Engineering, Math) skills and optimized for learning in the classroom or at home, on a laptop, tablet, or using a science textbook. The STEM program in Science Fusion provides real-world challenges, hands-on activities, and Video-based Projects that develop important critical-thinking skills that will prepare students for success in the workplace and in life. The print, hands-on, and digital curricula provide student-centered options for all students, in any learning environment, and align to the Next Generation Science Standards (NGSS).